Griddy RPG is a grid-based role-playing game. It has a simple combat system with three character attributes, where you can simply walk into enemies to attack them. 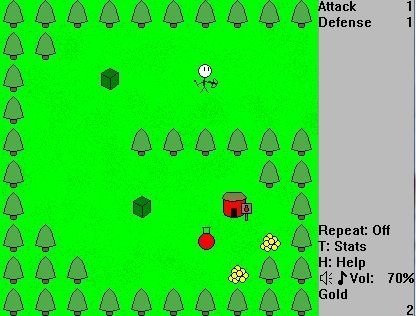 Controls: Use the arrow keys to move your character and attack enemies. Press Space to wait one turn and allow enemies to act. Press 1,2,3,4,5,6 to use items (healing potion, antidote, etc). Press R to restart from the last saved game.